The Expert Seminar is scheduled from 25th June (day of arrival) to 06th July 2019 (day of departure). The Expert Seminar is organised by the Universität Siegen in cooperation with the College of Agricultural and Environmental Sciences of Makerere University, the Institute for Technology and Resources Management in the Tropics and Subtropics (ITT) at Technische Hochschule Köln, cewas - International Centre for Water Management Services, University of Khartoum - Water Research Center, University of Khartoum - Institute of Environmental Studies, University of Kordofan - Faculty of Natural Resources and Environmental Studies, UNESCO - Regional Center for Capacity Development and Research in Water Harvesting. The German Alumni Water Network (GAWN) is involved to announce the seminar, to distribute the results, and to enhance networking. This applied research seminar is the second out of a series of two, which are implemented in different locations of the Nile Basin. The first Expert Seminar has been conducted successfully in Sudan, North Kordofan in July 2018 (read further details here). 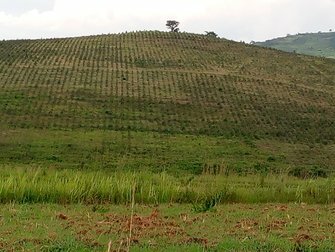 The second Expert Seminar will be conducted upstream in the River Nile Basin in Uganda, Zombo District, in June/July 2019. The goal of these applied 10-days research seminars is to contribute to the resilience of agriculture towards climate change and sustainability of water and soil usage by supporting knowledge exchange among key professional stakeholders and institutions in Eastern Africa. DAAD Alumni from Sudan, Uganda and neighbouring countries, who have academic and professional expertise in water and food security, are participating to enhance their competencies, strengthen their networks and develop result-oriented outputs for projects that can inform the work of academicians and/or development and public agencies. Sudan and Uganda are part of the Nile Basin countries in East and Northeast Africa. Both are sharing a strong concern for water and food security as a base for people’s livelihood and the countries’ future development. In the most countries of the Nile Basin, demographic pressure on land resources, climate change, environmental degradation and, partly, limited resource base are likely to significantly reduce the capacity of production systems in most countries. Thus, the Basin is in dire need for local and regional strategies for sustainable use of natural resources, especially land and water. Results of the seminar in Uganda, consolidated with those of Sudan, can contribute to drawing practical recommendations for cooperation at regional level. In order to provide information and results that present a significant contribution to the ongoing development activities in Northern Uganda, the Alumni Seminar will conduct an evaluation of the status of the implementation of CSA technologies and performance of the advisory technologies and methodologies with the agricultural trainers/facilitators in the field. 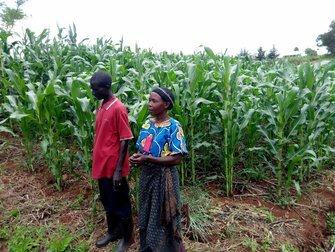 The study area of the seminar will be at Zombo district, where the Ministry of Agriculture project "Agricultural Technology and Agribusiness Advisory Services Project (ATAAS)" has come to an end in June 2018. Its aim was two-fold: to increase agricultural productivity and incomes of participating households by improving the performance of agricultural research and advisory service systems; enhancing resilience of the communities to climate change including the introduction of Climate Smart Agriculture technologies under the Sustainable Land Management (SLM) sub-component. During field days participants will work closely with farmers groups, representatives of Local Government and agricultural trainers to evaluate the ongoing sustainability activities. Results of the seminar evaluation will provide further details to guide the design and implementation of the upcoming programmes of the Ministry of Agriculture in capacity building and financial support strategies for small-scale farmers within the food and nutrition security components of the programme. To link up with development activities funded by the German Government, the GIZ office at Gulu will be condulted during the course of the seminar. To enhance competences of Alumni in the field of water and food security in relation to challenges derived by climate change. Appropriate climate smart agriculture technologies and practices will be discussed and further developed towards the challenging conditions of the Nile Basin Countries to secure stable and sustainable access to food and water, a precondition for development and peace in the region. To strengthen the Eastern African DAAD Alumni network, by encouraging Alumni to engage in the German Alumni Water Network GAWN on a regional and national level. To enable participating Alumni from the Nile River Basin to transfer gained knowledge and experiences to their affiliated institutions and thus enhance the capacity of the institutions and allow for more regional cooperation in the East African water and agricultural sector. Working in the field of water management, irrigation, agriculture or similar disciplines.